Phoenix, Ariz. – Oct. 10, 2018 – Pet parents across North America are invited to dress up their pets and bring them to any PetSmart store Sat., Oct. 20 or Sun., Oct. 21 from 12-3 p.m. local time for the “Who’s Your Boo?” costume parade and event. Prizes will be awarded for the first, second and third place winners of costume contests taking place each day at 12:30 and 2 p.m. local time. Playing on the human tradition to “boo” a neighbor with Halloween-themed treats, the PetSmart “Who’s Your Boo?” event will also feature a “You’ve Been BOOed” station where pet parents can fill a free “boo bag” with treats and coupons as well as one to “boo” a neighbor pet. The first seven guests at the event at each store will receive a free pet collar safety light. 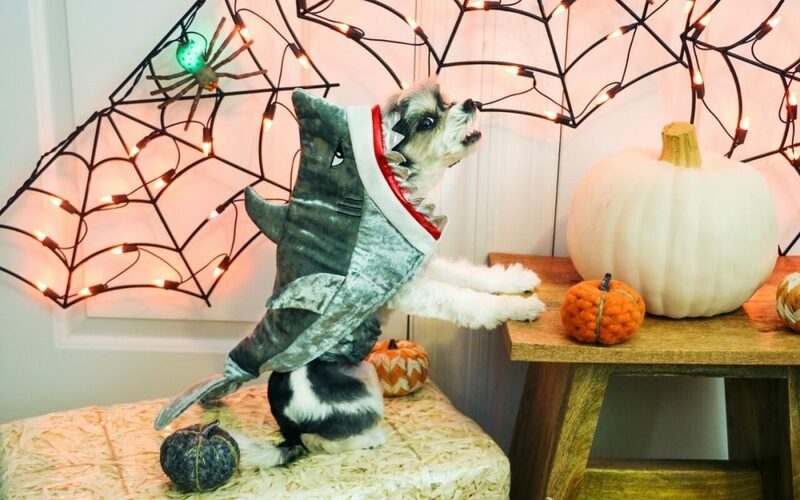 Click here for more information, including PetSmart’s full Halloween collection.